Typically a home inspection is being ordered from a buyer, but a pre-listing or seller’s inspection may be something to consider if you are getting ready to sell. Here are four reasons that may help you make the decision. 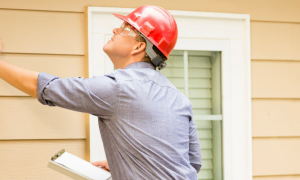 A typical home inspection that consumers may be familiar with is a buyer’s inspection. This is where the buyer orders an inspection on a property after they have gone under contract to determine if there are any major issues that were unknown and that the buyer may request to get corrected prior to closing. Many times this leads to additional negotiations between the buyer and seller for corrections to be made. In some cases, it may even lead to the deal falling apart. The buyer’s inspection can uncover some unexpected things that both parties may not be prepared for. The worst case scenario is that the deal can fall apart based on what is found or it can severely delay closing. However, there is a way to avoid the unexpected in buyer’s inspections with a seller inspection; also known as a pre-listing inspection. If you are thinking that it may be an unnecessary expense since the buyer will be doing an inspection anyway, here are some reasons you may want to consider inspecting before listing. Once you are under contract on your property it can be an exciting for the seller, but it is not over until closing is complete. In between contract signing and closing many things can come up that may have a negative effect on the deal. One point in the transaction where things can be hurt is the home inspection. With a pre-listing inspection you can know what to expect when the time comes and also have the ability to make any repairs that may be needed prior to listing. When the buyer does their home inspection it is typical that something is found. In some cases, the seller may believe that the issues that are found are not valid. However, with the transaction timeline being tight, there may be limited time to fully have the issues looked at a second time or get proper estimates that may help to save on the cost of repairs. 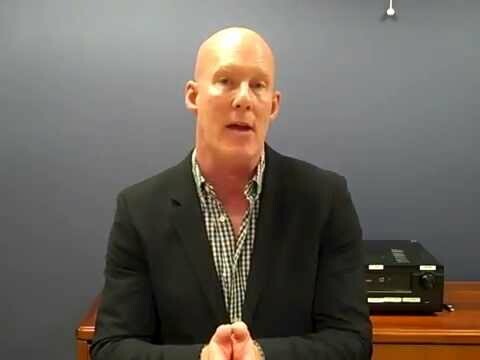 With a pre-listing inspection the seller will have their own report to utilize when it is time to dispute any issues that might have been found by the buyer’s inspection if they do not agree. Also, it will give the seller time to get multiple estimates and prepare for the buyer’s findings if the seller does not plan on making the repair. A standard seller’s disclosure is a form filled out by the seller to the best of their knowledge on items such as HVAC and the roof. The seller can list the age and condition of these items if they know them. However, in some cases they may be uncertain or the systems may have been in place from previous owners, so they will not fully be aware of the details. A pre-listing inspection can educate the seller on the condition of these items as well as what the age may be. Just as with a buyer’s inspection, a report will be provided noting all of these things and what issues there may be. This can serve as marketing material and copies can be provided to potential buyers who will see it as reassurance of the condition of the home. In addition to the original report, the seller can make repairs and the inspector can come back to amend the report showing that the repairs have been verified by the inspector. While a pre-listing inspection is an option for sellers, it can give peace of mind going into a sale. Many sellers focus on cosmetic issues when preparing to sell but should consider thinking about the things they cannot see as they may be the costliest if there is an issue. Peace of mind can be a great thing to have when going into a real estate transaction and can help the transaction to go smoothly. It is important to note that anything that is found and reported by the inspector should be disclosed when the house is being sold. Have you had a pre-listing inspection done and did it give you peace of mind? Let me know in the comments below. Is Virtual Staging the Future Way of Selling a Home? What exactly is a walk through and what should happen?